With a handy location off Interstate 35, just five miles from San Antonio International Airport, and within easy reach of the San Antonio Military Medical Center, Fort Sam Houston, HEB Corporate Office, Rackspace and the South Texas Regional Soccer Complex, the Super 8 San Antonio Near Fort Sam Houston hotel offers dependable comfort and value. 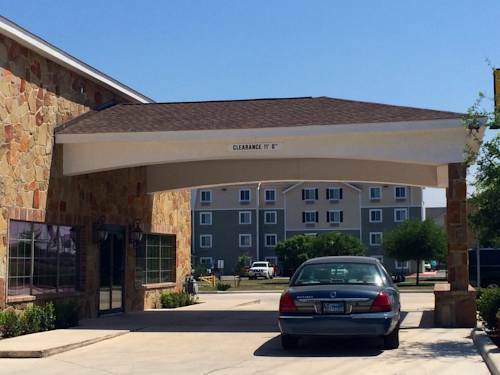 Also convenient to downtown San Antonio, The Alamo, River Walk, Splashtown, AT&T Center and Freeman Coliseum, this smoke-free lodging facility offers ample complimentary parking including trailer parking. Start the day with complimentary SuperStart breakfast and check email with complimentary wireless Internet access. Guest rooms include a work desk and flat-screen TV and there is no charge for kids 17 and under with an adult in the same room. Microwaves and refrigerators are available for guest use upon request.